One Capital Center is a high rise building in Boise, Idaho. It is located at 999 Main St. The building has 14 floors and is 206 feet tall and was completed in 1975. From 1975 to 1978 it was the tallest building in the city of Boise and the state of Idaho, but as of now it is the second tallest building in Boise. Billionaire J. R. Simplot had an office on the top floor of this building. 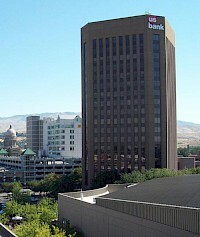 The US Bank Plaza is a skyscraper located in Boise, Idaho, and is the tallest building in the state. 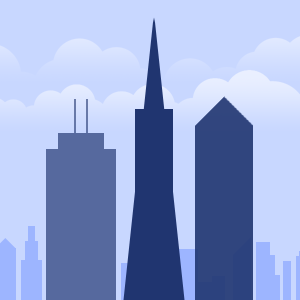 Completed in 1978 and renovated in 2004, it rises 267 feet (81 m) spanning 20 floors. Originally "Idaho First Plaza," the building was the headquarters of the Idaho First National Bank, which was founded in 1867. Following acquisitions in neighboring states, IFNB was renamed West One Bank in 1989, and was acquired by U.S. Bank of Portland in 1995.